You'll be £5.20 closer to your next £10.00 credit when you purchase Reconnaissance Planes Since 1945. What's this? 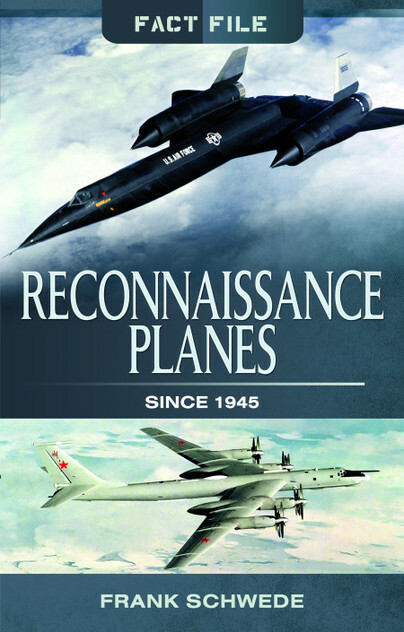 Reconnaissance Planes is the first in a new Fact File series from Pen & Sword intended to provide fundamental knowledge on various types of aircraft. A good outline of the aircraft used, and a great starting point for anyone who wishes to delve more deeply into the world of reconnaissance aircraft. This handy reference work brings the reader up-to date on the latest developments within the secretive world of intelligence-gathering aircraft. Frank Schwede has worked as a freelance journalist for several daily newspapers, including the 'Süddeutsche Zeitung' and the 'Münchner Abendzeitung', as well as numerous radio stations. His hobbies include collecting international police badges and model police vehicles.